Prime Minister Imran Khan on Wednesday laid the foundation stone of the Kartarpur corridor and said peace is the only way forward for India and Pakistan. The premier performed the groundbreaking of the corridor, connecting Gurdwara Darbar Sahib in Kartarpur area of Narowal district with Dera Baba Nanak in India's Gurdaspur District. 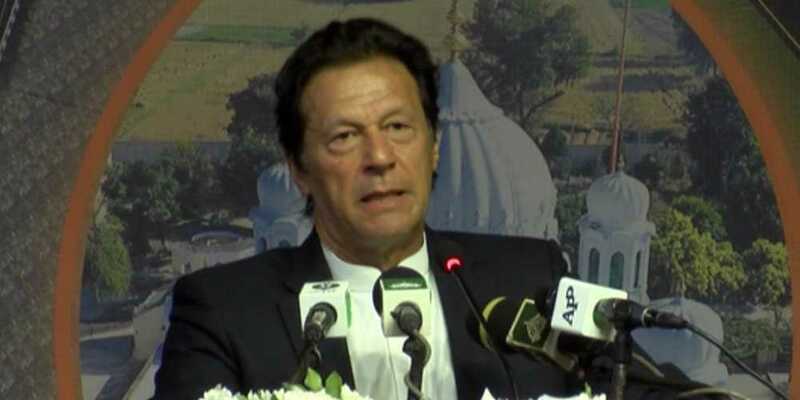 Addressing the ceremony which was attended by Army Chief General Qamar Javed Bajwa, government officials, Indian ministers and foreign diplomats, PM Imran thanked those in attendance and vowed, "We will keep improving Kartarpur corridor and next year you will see all facilities will be available there."